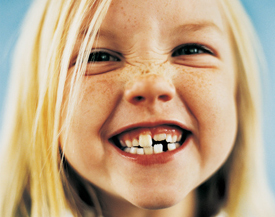 Crowning Baby Teeth | Eastern Long Island, NY | Joseph F. Sciotto D.M.D. It’s important that you arrange for your child to be seen at Joseph F. Sciotto D.M.D. every six months from the time he or she reaches the age of one year. With regular dental examinations, we can keep an eye on your child to watch for signs of decay so that small problems don’t become BIG ones! Call us to schedule a visit for your child or to check to see if one is due. 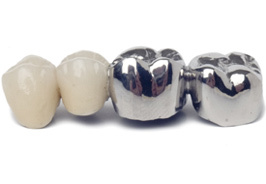 Stainless steel crowns protect back molars until they fall out. It’s also a good idea to start regular dental visits once your child is one year old. Preventive dentistry is really the best kind, and the kind we at Joseph F. Sciotto D.M.D. like best as well!